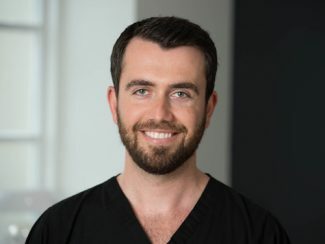 George enjoys all aspects of dentistry with a special interest in Aesthetic Restorative Dentistry, Dental Implants, Cosmetic Clear Orthodontics and Facial Aesthetics, including Botox Anti-Wrinkle Injections and dermal fillers, to help his patients achieve a more youthful appearance and boost their self confidence. He is a certified Invisalign, Inman Aligner and Cfast Clear Braces provider. Using his combined knowledge and a comprehensive approach, he has gained an excellent reputation in “Designing Enhanced Smiles” for those inspired to change their look or cosmetic dental appearance. Member of the American Academy of Cosmetic Dentistry, British Academy of Aesthetic Dentistry, American Academy of Implant Dentistry, European Academy of Osseointegration and Faculty of General Dental Practice(UK). Apart from Dentistry George enjoys traveling, watching movies and playing sports. This entry was posted in Blog, Botox, Braces, Broken Teeth, Cosmetic Dentistry, Dentists, Six-Month Smile, Teeth Whitening on 27th April, 2017 by Aura Dental. We know you have a choice when selecting dentists in St John’s Wood for you and your family’s needs. We also know that when you choose Aura Dental you will be making the right choice. Here’s why. Our focus is on treating you like family, in fact many of our patients are our families and friends and we extend the same concern to each patient we see. We also believe that a dental visit doesn’t have to be unpleasant or uncomfortable anymore. We use modern technologies to make your visit relaxing. Our new premises have been carefully designed with beautiful interior décor to help you relax and eliminate stress, leaving you with a sense of calmness. Many dental practices only offer basic dental care. If you need to replace missing teeth, straighten your teeth, remove painful teeth or get rid of a toothache, you sometimes have to go to a distant and unfamiliar dentist. We know you are busy and would rather get everything done in the same familiar, caring and convenient practice. That’s why we have invested in our equipment, technology and dentists in St John’s Wood, to ensure we can take care of all your needs under one roof. Our principal dentist here at Aura Dental is Dr David Tissera. 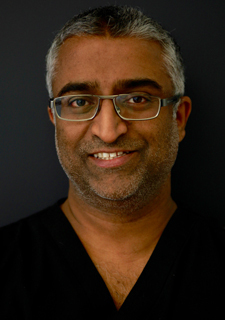 He qualified from King’s College School of Medicine & Dentistry London in 1997 and offers every patient his knowledge of 20 years’ dental expertise. He is a highly experienced and professional dental surgeon, who has been in private practice for over 18 years. He has a keen interest in cosmetic and implant dentistry and performing smile makeovers. He is also experienced in adult teeth straightening using a variety of systems available at our practice, including Six Months Smiles, CFast and the Inman Aligner. He believes that all the dentists in St John’s Wood must provide high quality dental care in a caring environment, using the most up to date tools available. Being a dedicated and calming dentist has enabled Dr Tissera to grow a loyal patient base over his two decades’ experience, based almost solely on personal recommendation. This entry was posted in Dentists on 19th April, 2017 by Aura Dental.